LOCAL TRADE!. 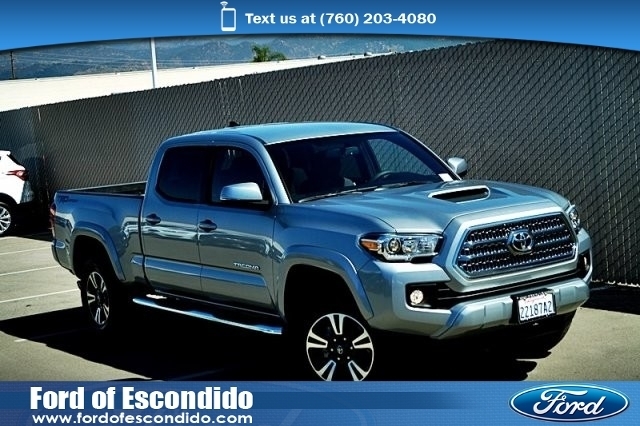 Convenience Package Option 1 (Cruise Control), Sport Grade Package (Bilstein Shocks, Sport Suspension, and TRD Sport Graphics), and TRD Sport Upgrade Extra Value Package (115V/400W Deck Powerpoint, Front Fog Driving Lamps, HomeLink, Privacy Glass, Sliding Rear Window, and Tailgate-Handle Integrated Backup Camera). CLEAN CARFAX!! ONE OWNER!! 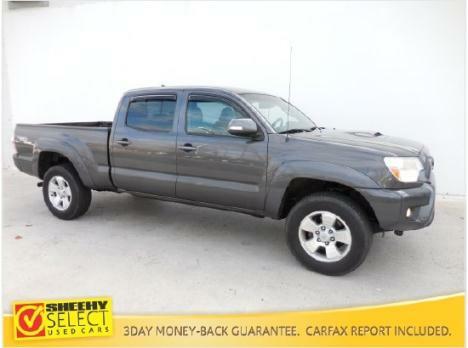 This 2012 Tacoma is for Toyota nuts looking everywhere for that perfect truck. It will take you where you need to go every time...all you have to do is steer! We are the regions #1 VOLUME CERTIFIED FORD DEALER for 2011/2012. We sell in quantity and offer the LOWEST PRICE on the best hand picked vehicles only a portion pass our rigorous inspection/reconditioning process! This one PASSED and is a SHEEHY SELECT pre-owned vehicle! It comes with a 125 point quality inspection and 3 day money back guarantee! You know you are getting a QUALITY vehicle when you buy from Sheehy! Join our VIP club with oil changes for life, parts/service discounts, free car washes, loaner program w/ major services and more! Call today don't delay!, 16' x 7J+30 Style Steel Wheels,3.727 Axle Ratio,7 Speakers,ABS brakes,AM/FM radio: SiriusXM,AM/FM/CD w/7 Speakers,Air Conditioning,Anti-whiplash front head restraints,Brake assist,CD player,Driver door bin,Dual front impact airbags,Dual front side impact airbags,Electronic Stability Control,Fabric Cloth Seat Trim,Front Bucket Seats,Front Center Armrest,Front anti-roll bar,Front reading lights,Front wheel independent suspension,Illuminated entry,Low tire pressure warning,MP3 decoder,Occupant sensing airbag,Overhead airbag,Overhead console,Passenger door bin,Passenger vanity mirror,Power door mirrors,Power steering,Power windows,Rear step bumper,Speed-sensing steering,Split folding rear seat,Tachometer,Telescoping steering wheel,Tilt steering wheel,Traction control LOCAL TRADE!. Convenience Package Option 1 (Cruise Control), Sport Grade Package (Bilstein Shocks, Sport Suspension, and TRD Sport Graphics), and TRD Sport Upgrade Extra Value Package (115V/400W Deck Powerpoint, Front Fog Driving Lamps, HomeLink, Privacy Glass, Sliding Rear Window, and Tailgate-Handle Integrated Backup Camera). CLEAN CARFAX!! ONE OWNER!! This 2012 Tacoma is for Toyota nuts looking everywhere for that perfect truck. It will take you where you need to go every time...all you have to do is steer! We are the regions #1 VOLUME CERTIFIED FORD DEALER for 2011/2012. We sell in quantity and offer the LOWEST PRICE on the best hand picked vehicles only a portion pass our rigorous inspection/reconditioning process! This one PASSED and is a SHEEHY SELECT pre-owned vehicle! It comes with a 125 point quality inspection and 3 day money back guarantee! You know you are getting a QUALITY vehicle when you buy from Sheehy! Join our VIP club with oil changes for life, parts/service discounts, free car washes, loaner program w/ major services and more! Call today don't delay!